A well-researched business plan is an often-overlooked key to success. business to potential investors and financial institutions. plan tend to survive and those who do not, fail. Who should do a business plan? Why is a market analysis for my product or service important? services to meet those needs. Where do I find information on my industry? agencies, clubs and user groups or business to business? anybody who wants to sell anything. How do I make a sales projection? When do I discuss my product and services? The question remains: is this business financially feasible? Subtract the fixed costs you identified from the gross margin. the risk? Starting or growing a business requires financial risk. then invest your money in something that does. What is an Operation Plan? flow statement, a profit and loss statement, and a balance sheet. chart to visually present your organization. customer, your background and funding sources. Bizstats.com Access business statistics and benchmarks, useful financial ratios, and effective and understandable online analysis of businesses and industries. Bureau of Labor Statistics This public site provides information on consumer expenditures nationally, regionally and by selected metropolitan areas. Business Owner’s Toolkit Samples of business plans and other tools. Edward Lowe Resource Center Articles with solutions gleaned from CEOs and business owners. Includes perspectives on managing growth in key areas such as communication, finance, marketing and sales, HR management, legal issues/taxes and technology. U.S. Census Bureau This public site is a major link to demographic and economic census data. 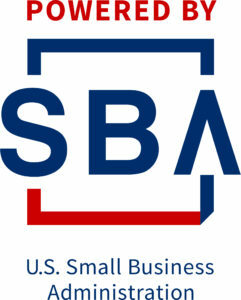 U.S. Small Business Administration This is a complex site but you can find information on SBA programs and other resources. Surf the library and you’ll find information to help you in planning your business. Washington State Department of Revenue This public site provides information on retail sales within the State of Washington in detail to selected cities by NAIC code. In addition, many tax topics are covered. Be sure to look at the “Statistics & Reports” section. Washington State Office of Financial Management This public site provides information on economic, social-economic, population, estimates and forecasts, and city and county data. It also provides links to the United States Census 2000 web site. Workforce Explorer While this public site deals primarily with employment, it has great insights as to the general economic conditions of areas within Washington State. Of particular interest are analysis and articles by “Regional Economists”.